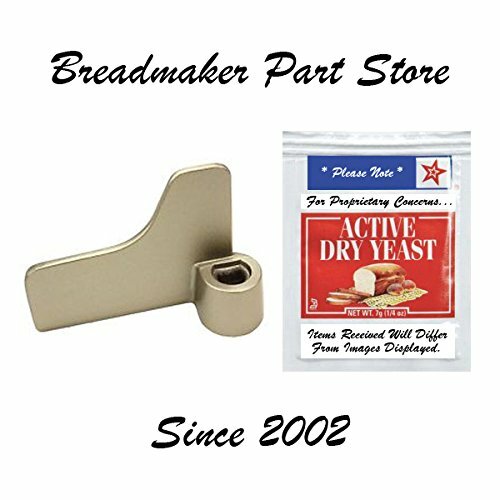 View More In Bread Machine Parts & Accessories. New AFTERMARKET Replacement for DISCONTINUED Part #'s ADA04A-105 (ADA04A105), ADD96A-1052 (ADD96A1052), ADD96A-1052A (ADD96A1052A), ADD96A-1052B (ADD96A1052B), ADD96A-1052D (ADD96A1052D), ADD96A-1052E (ADD96A1052E), ADD96A-1052L (ADD96A1052L), ADD96A-1054 (ADD96A1054), ADD96E-160 (ADD96E160), ADD96E-1601 (ADD96E-1601), ASD180-108 (ASD180108) & ASD950-108 (ASD950108). Fits Panasonic & National MODEL #'s SD-150, SD-200, SD-206, SD-207, SD-250, SD-2500, SD-2501, SD-2502, SD-251, SD-252, SD-253, SD-254, SD-255, SD-256, SD-257, SD-350, SD-BM151, SD-BM152, SD-BMS151, SD-BT150, SD-BT152, SD-BT153, SD-BT65N, SD-BT65P, SD-BT66N, SD-BT66P, SD-P205, SD-RD250, SD-RD250WVA, SD-YD15, SD-YD150, SD-YD155, SD-YD20, SD-YD200, SD-YD205, SD-YD250, SD-YR2500 & SD-ZB2502. Bundled Offer Also Includes a Fresh Packet of Active Dry Yeast. FOR PROPRIETARY CONCERNS ITEMS RECEIVED WILL DIFFER FROM IMAGES DISPLAYED. Trackable USPS Package DISPATCHED TO ANY U.S. DESTINATION Including Home, Office, Government, Military, Place of Employment, Post Office Box or INTERNATIONAL MAIL FORWARDING SERVICE.